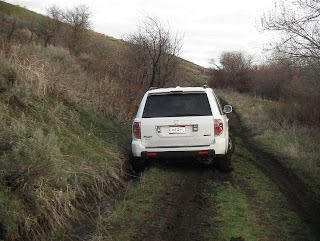 It was very muddy and "our field trip organizer" got her pretty white Honda Pilot stuck in the muddy ditch on the side of the road. 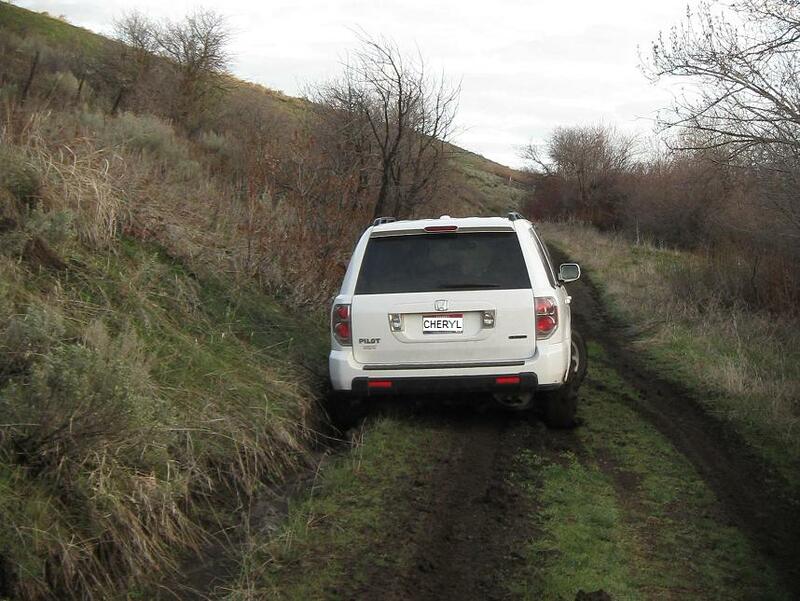 At that point we abandoned the vehicles and hoofed it for 2.5 miles there and back. It was worth it! Because we got to hike we got to see more birds, but we got there a little late to see the full dancing displays of the grouse. We did get to watch a few males squaring off by spreading out their wings, stamping, charging, and pointing their tails straight up. We also so Greater Sage Grouse and dozens of other species of birds. I recorded 61 species for the part of the trip I attended, several of which were first of year birds. The Sharp-tailed Grouse was a life bird for me too! It was great meeting some birders in person that I knew by name and e-mail and it was a gorgeous day to be birding! "Although the Great Blue Heron eats primarily fish, it is adaptable and willing to eat other animals as well. Several studies have found that voles (mice) were a very important part of the diet, making up nearly half of what was fed to nestlings in Idaho." * I also recently observed an Osprey eating a fish on top of a power pole at Avimor. Now we are about 10 miles from the Boise River and even further from the Payette River, so I assume that this Osprey has been stealing the fish out of the Avimor Town Lake...a pond really. Kind of cool - if you're not a small mouth bass!